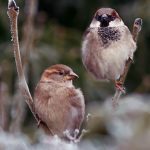 House Sparrows – On our north facing wall we have two house sparrow terraces each of which has 3 nest boxes and a neighbouring house has many suitable places under its eaves for nesting. In January 2019 around 25 sparrows come down to feed on sunflower hearts and suet pellets thrown out or vie with goldfinches on the hanging seed feeders. Being gregarious the sparrows gather in an old evergreen Lonicera nitida hedge intermingled with ivy just outside our back door, which every so often bursts into a cacophony of chirrups; every one of the sparrows seemingly has something to say. What are they doing in there? Squabbling for the best perch, chatting up prospective mates? We don’t know but we do know how important that hedge is to these birds. It’s not smart or modern but no matter, it is part of their habitat and provides safe dense cover and a good place to roost on cold nights and we wouldn’t be without it. 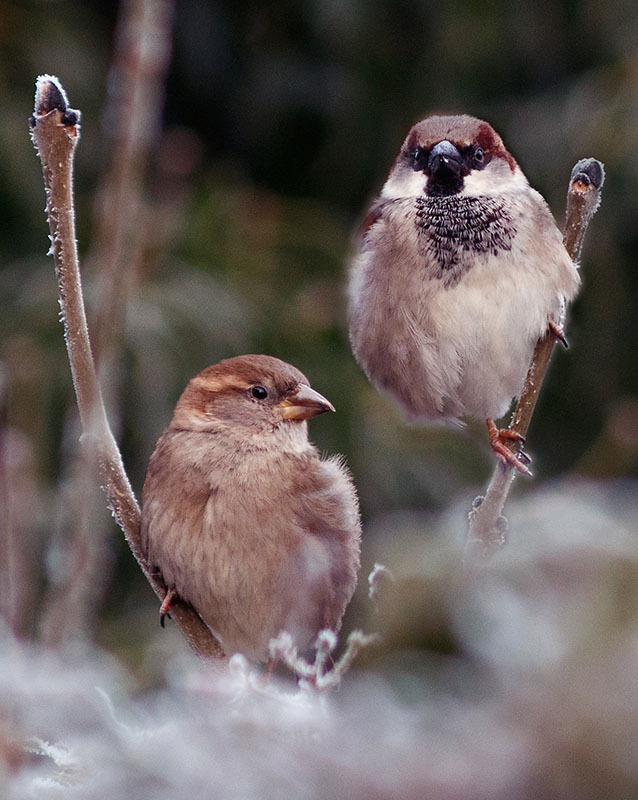 The House sparrow is a UK Bird of Conservation Concern and on the Red List. The BTO reports that house sparrow populations in the UK have declined by nearly 71% since 1977. There are 67 birds on the red list including grey partridge, lapwing, cuckoo, skylark, starling, song and mistle thrush, linnet, and yellowhammer. National Nest Box Week; 14th -21st February 2019. Are you thinking of putting up a nest box? If so the BTO (British Trust for Ornithology) is the place to go for advice on what to look for when buying a box, where to place it and how to look after it. There are also plans and instructions for making your own. See www.bto.org/about-birds/nnbw for more information.